According to a new poll, most Canadians are quite content with their lives. But the ones who are unhappy are downright miserable. The Angus Reid Institute poll, published Monday, found that 63 per cent of Canadians say they're "pretty happy" with their lives. Pollsters surveyed 1,530 people from across the country in an online survey from Dec. 10-14, 2015. The respondents were all aged 18 and older. The survey has a margin of error of +/- 2.5 percentage points, 19 times out of 20. The poll asked respondents to assess their lives as being either "very happy,""pretty happy," or "not too happy." Sixteen per cent of respondents said they're very happy, and 18 per cent said they were not too happy. 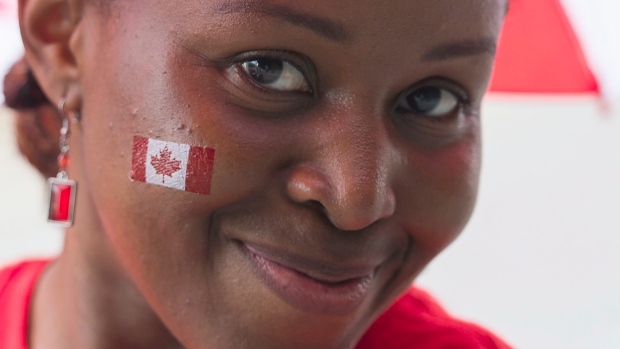 There were regional differences in reported happiness levels across the country, with the highest levels of happiness reported in British Columbia (20 per cent) and Quebec (22 per cent). The lowest levels of respondents saying they are "very happy" were in Atlantic Canada (nine per cent), Alberta (12 per cent) and Saskatchewan (13 per cent). The poll also found differences in reported happiness levels according to age, with older people reporting greater levels of happiness. Canadians aged 55 and older were slightly more likely than other age groups to describe themselves as "very happy" or "pretty happy.” They were also significantly less likely to say they are "not too happy," the survey found. The poll also asked a series of questions related to life satisfaction, outlook on life, personal relationships, love, health, finances and stress. Based on the survey responses, Angus Reid was able to sort Canadians into four general groups based on their shared attitudes. These groups are: Golden Oldies, Lonely Hearts, Harried with Kids, and The Unhappy. According to Angus Reid, Golden Oldies make up about 27 per cent of the total population. People in this group are typically older than 55 (52 per cent), own a home (80 per cent), and are satisfied with their personal finances (87 per cent). "People in this group tend to be satisfied with everything, and not particularly worried about the future," the poll said. Lonely Hearts also have high levels of life satisfaction (91 per cent), and tend to be 35 and older (72 per cent). However, this group tends to be less satisfied with their personal relationships, particularly with their love lives. The survey found that 28 per cent of respondents in this group are satisfied with their love life. Harried with Kids is a considerably younger group, with most of the members of this group being younger than 55 (75 per cent). Respondents in this group live in a household of three or more people, and are satisfied with their loves lives and their personal relationships. However, this group reports high levels of stress, with 59 per cent reporting that they are dissatisfied with their stress level. This group also has concerns surrounding their finances, with 70 per cent expressing concern that their savings will not sustain them in their old age. Despite the differences between these three groups, all are generally happy with life, the survey found. This cannot be said about the fourth group in the poll, The Unhappy. The majority in this group "are dissatisfied with every measure of life satisfaction," the poll found. According to the survey, respondents in The Unhappy group tend to be between the ages of 18 and 54 (75 per cent) and tend to rent their homes (43 per cent). They also tend to have lower income and lower rates of employment. All of these factors could contribute to the group's "pervasive feeling" that it's "not too happy with life," the pollsters said. The poll notes that, while the other three groups are able to see positive aspects of their lives, The Unhappy are almost "overwhelmingly dissatisfied" with theirs. The Unhappy also tend to have a negative outlook on life, the poll found, with 79 per cent saying they are dissatisfied with their outlook. The poll also found that 82 per cent in this group disagree that their "life so far has turned out better than expected." The pollsters said those results indicate that "those who are dissatisfied with life tend to feel that way about all aspects of life – from romance to finances and everything in between."